Learn how to preserve pumpkins and keep your carved pumpkins looking their best all the way thru Halloween and beyond. A favorite local business of mine, is Hillermann Nursery & Florist, and this time of year it is SO fun to visit! 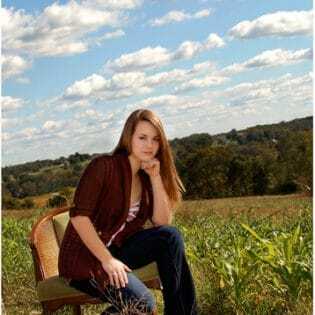 and my fall visit in 2008. I’m getting a late start this year……..but I’m planning my annual fall visit for this weekend. I can’t wait to fill my porch and yard with all the orange, red and yellow! 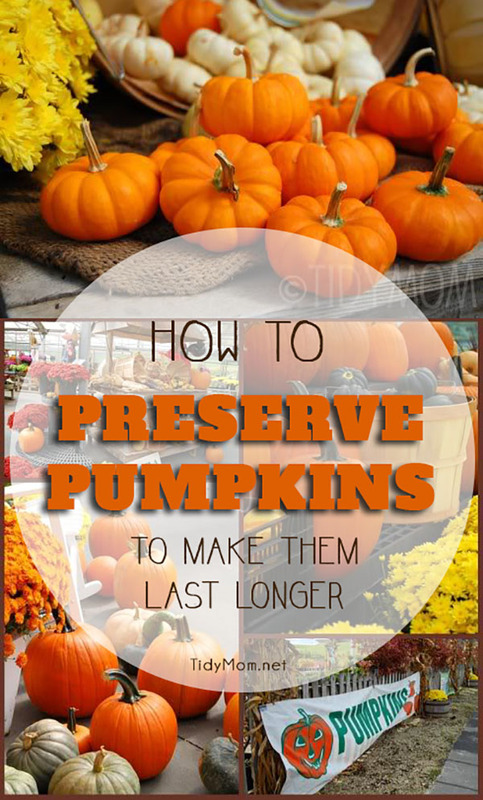 I LOVE Hillermann’s tips on preserving pumpkins. 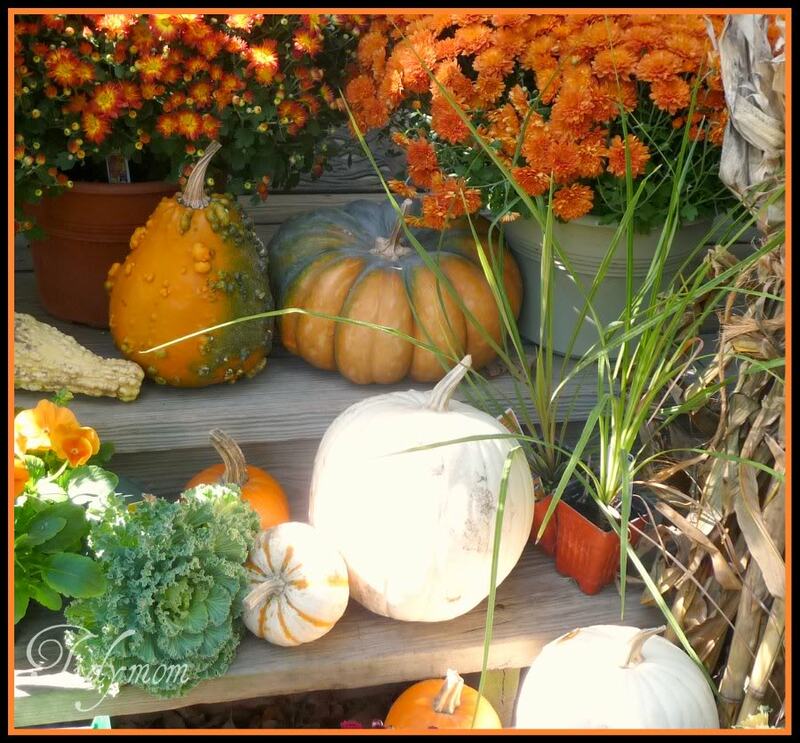 Place your pumpkin in a washtub of cold water, it will absorb the water and become very firm. Cut open the top of the pumpkin and clean out all the seeds. Fill a washtub, sink or large bucket with cold water, add a small amount of unscented bleach to the water to prevent premature mold and bacteria growth. Soak the pumpkin in the cold bleach water for an hour or two. If you have fine detail carving you want to do, you may want to let your pumpkin soak overnight. This will firm up the pumpkin flesh and allow you to do carving that is more intricate. Once you have carved your pumpkin, you can add a thin amount of petroleum jelly on the exposed cut edges. This will help seal moisture in the flesh of the pumpkin. If the pumpkin dries out, it will shrivel. You can try to revive a shrived pumpkin by soaking it in a bath of cold water for one to eight hours. Longer is better. Overnight will not hurt. You can prepare your pumpkins ahead of time and keep them fresh for a future party or gathering. Soak them first, following directions for preserving pumpkins for carving (above). After carving, wrap the pumpkin in plastic wrap to hold in the moisture and store them in the refrigerator (not the freezer). They will stay fresh this way for a very long time. When ready to display: remove carved pumpkin from refrigerator, discard plastic wrap and immediately dry it off. This prevents mold from having a chance to grow. NOTE: All pumpkins are going to rot away eventually, and there are a lot of myths about how to preserve pumpkins. But after extensive testing, some pumpkin enthusiasts proved that treating pumpkins with bleach held out the longest. Don’t you just love this time of year! 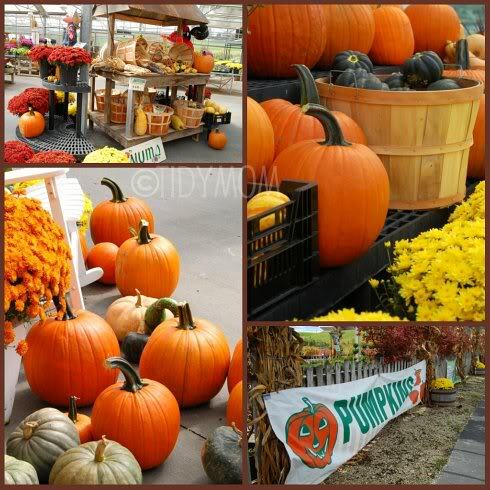 !………all the pumpkins…….all the color? This is so awesome! Do you have to soak the pumpkin even if you aren’t going to carve it or do you just coat it in petroleum jelly? 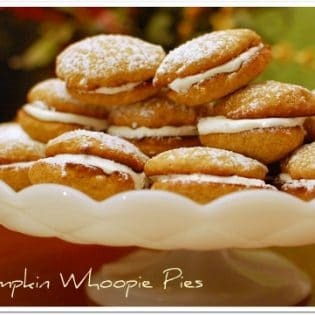 Love those pumpkintips, definitely going to be using them this year. Thanks for the tips Cheryl! I have LOTS of pumpkins, so they will come in handy. Thanks for the tips. We haven’t made our way to the pumpkin patch just yet, but my kids, 15, 16 are wanting to do, so hopefully soon. Wow, GREAT tips on preserving and carving pumpkins!!! I learned several things–thanks!!! All your pumpkins are delightful! Thanks for a great party! Your photographs are gorgeous! I do love pumpkins, squash and all the lovely autumn colours. Thanks for hosting! Great tips!! Thank you so much for sharing. I will be bookmarking this info. And, of course, thanks for hosting another great linkup party! Have a fabulous weekend! My grandma lives in New Haven, a small town outside of Washington, I’ll have to go visit Hillerman’s next time I’m there!! Looks like a fun place! Very cool. I never would have thought of these tips on my own. Now, I need to go get some pumpkins! thanks for the great tips-don’t know if our pumpkins are going to make it to carving but that’s because my 2 yr old throws them down the stairs everytime he goes outside! Thanks for hosting! Those are great tips! We have stopped buying pumpkins for the soft-ing issue! Had no idea there was a way to get around it! Thank You! I’ve never heard of soaking pumpkins….thank you!!! Great tips! Now I want to go pumpkin shopping!!! Hello! Thank you for hosting each week. I see lots of fun projects to go visit. Have a wonderful weekend! What good tips! I always end up with moldy pumpkins on the porch. Thanks for sharing! I had never heard about soaking them in water before!! Thanks for the tip! I am joining your fun party this week! What great tips. In AZ there wasn’t much you could do, the heat just killed them. But I am looking forward to having a pretty pumpkin all through October here in Texas! !